Approaching Thanksgiving dinners and record-setting high temperatures had no impact on the enthusiasm and performance of runners at Dana Point’s 40th annual Turkey Trot on Nov. 23. Commencing at exactly 7 a.m., the 10K race set the day’s blistering pace as the top four runners finished in less than 30 minutes. Harry Mulenga, from Tucson, Arizona, who finished second in the men’s 10K race, said he was thoroughly enjoying Thanksgiving in Dana Point. Following the 10K race was the 5K. 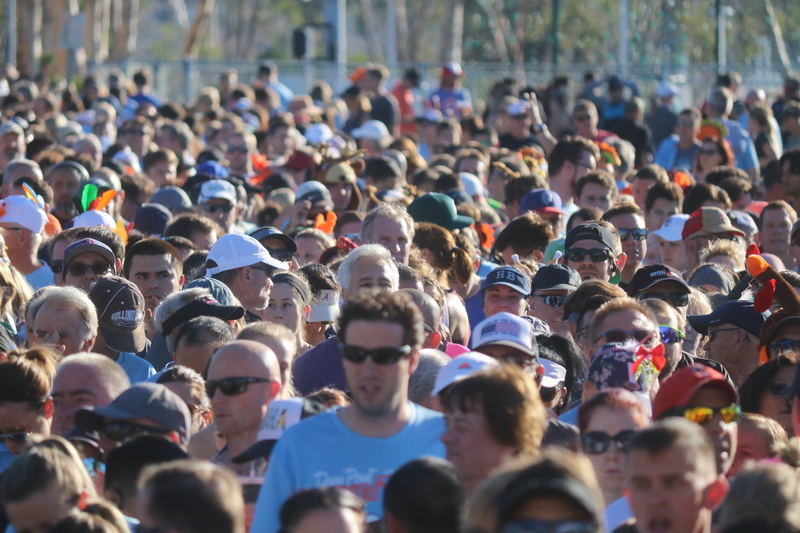 With more than 4,000 participants, the 8:30 a.m. wave was completely sold out. Seven of those participants were local family members of Helen Phillips from Sioux City, Iowa. At 90-years-old, Phillips participated in her first 5K with four generations of her family. Wrapping up the afternoon was the fan-favorite “Gobble Wobble,” where three waves of children, divided by age, ran a one-mile race. As the day wound down and the final wobblers finished the race, Katie McGann, the special events and sponsorship coordinator for the Dana Point Chamber of Commerce, said the most important thing to keep in mind when organizing a large scale event is to remember why it’s happening in the first place. No volunteer photos… 🙁 That is a bummer!